The Soul Survivor festival of 2010 was bigger than ever, with 30,000 people experiencing 5 life-changing days. This live recording is strong and fresh, with worship led by Tim Hughes, Beth Croft, and newcomers Tom Field and Jamie Rodwell. 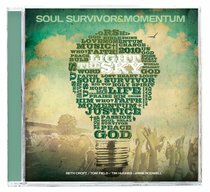 About "Soul Survivor 2010: Light the Sky Double CD"